If you are currently planning a funeral or memorial service for a loved one who has recently passed, you probably already know that you have to write an obituary. 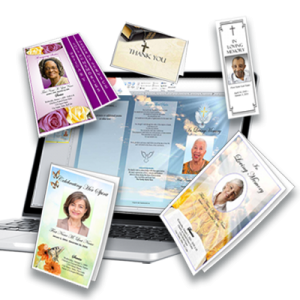 What you may not know is that their are a few different variations of an obituary that you may use during the funeral and memorial process. 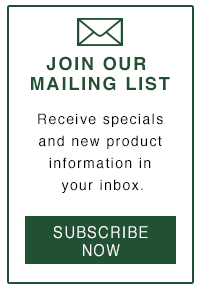 You can have obituaries for newspapers, longer formal obituaries, or a funeral program obituary. Short obituary that gets published in newspapers and local publications. This obituary is short and to the point, and may often give details about the memorial service. This obituary is shorter due to the costs associated with printing in newspapers and publications. See our article on "Writing an Obituary for a Newspaper"
This obituary will have more details. It will often include information about where the person lived, school and career information and family details. This obituary may be read as the official obituary at a funeral or memorial service. You can get more information on how to write an obituary from our website. This obituary is very similar to the longer obituary, but it may contain many more personal details about the deceased. 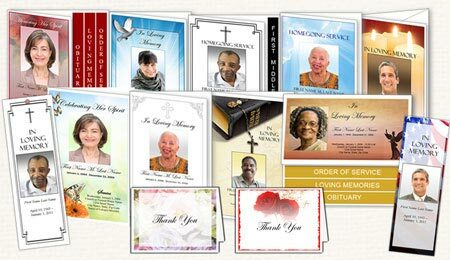 It's printed in funeral programs, obituay programs, booklets and stationery, and usually has a more personal and warm tone. When writing the obituary for your funeral or memorial service program, you will want the obituary to have a warm and personal feel. You want the obituary to convey the person's personality, character, passions. Consider the following questions to add a more personal tone to your obituary. Did your loved one have a passion for anything, such as art, music, gardening, etc? If so, describe that passion. Did he or she have any special talents? Did you mom bake the best cookies? Did Dad have the best yard on the block. Don't be afraid to mention these special little talents that made your loved unique and special. Think of adjectives that describe your loved one's personality or character. Use words such as compasionate, selfless, determined and even stubborn. Think of any sayings or phrases your loved one used to say. Putting these phrases in your obituary will bring a smile to the face of mourners and will help them remember them. 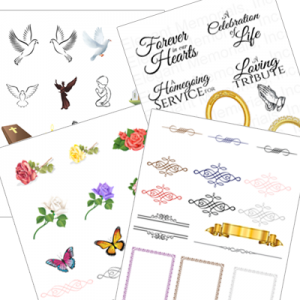 The funeral program or booklet is not just a document that gives details of funeral services and your loved one, it is also a treasured printed memorial that friends and family will sometimes keep forever. 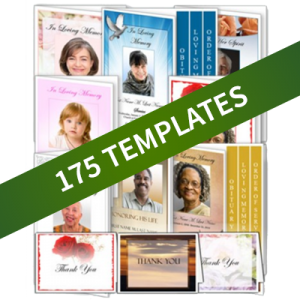 Making your funeral program obituary warm and meaningful will help keep your loved one's memory alive and will help mourning friends and family remember their loved one.